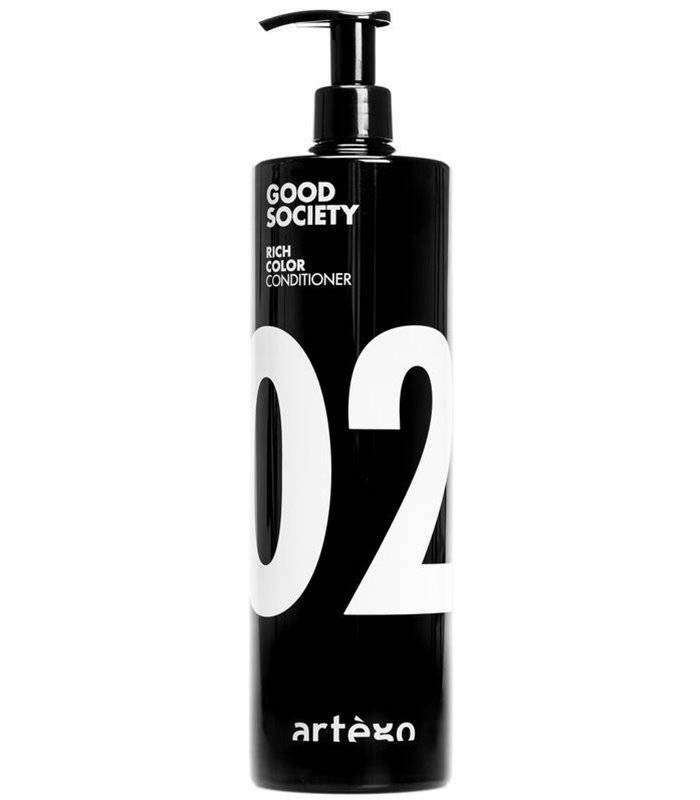 Conditioner for long-lasting color brilliance for colored hair. 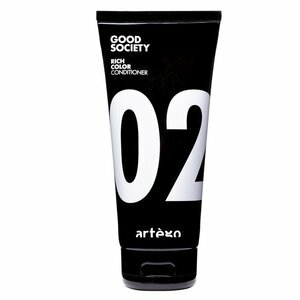 The color-keeping formula with Panthenol of the Artego Good Society Rich Color 02 Conditioner has a beneficial effect on the hairy keratin, enriches the hair with moisture and detangles it gently. Guar gum relaxes thanks to its balsamic effect hair and scalp. For silky hair with great shine and lasting color intensity. Spread a hazelnut-sized amount evenly over the damp hair. Leave in for 1 - 3 minutes and then rinse thoroughly. Then style as desired.